On the first night of Hanukkah, Rabbi Judah has too much to do and too little time to do it. Before the rabbi leaves to visit the emperor, he tells his housemaid Basha that she can ask the golem to help. While the golem makes latkes, Basha decides to visit a friend. Basha is having so much fun with her friend, she doesn't realize that latkes are pouring out of the rabbi's house, sending people running! 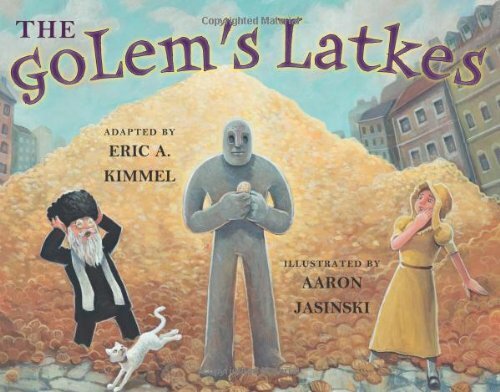 Will Rabbi Judah come up with a solution to control the golem before it's too late? Illustrated with lively acrylic on wood, the book includes an Author's Note about the tale's origins. If you have any questions about this product by Two Lions, contact us by completing and submitting the form below. If you are looking for a specif part number, please include it with your message.